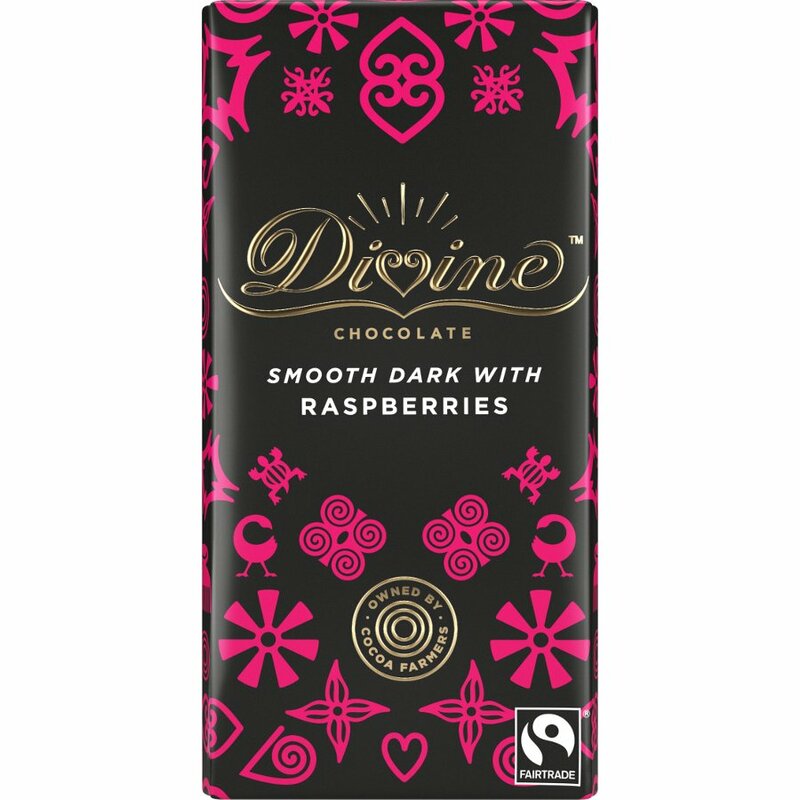 Dark rich velvety chocolate with exuberant bursts of real raspberry. 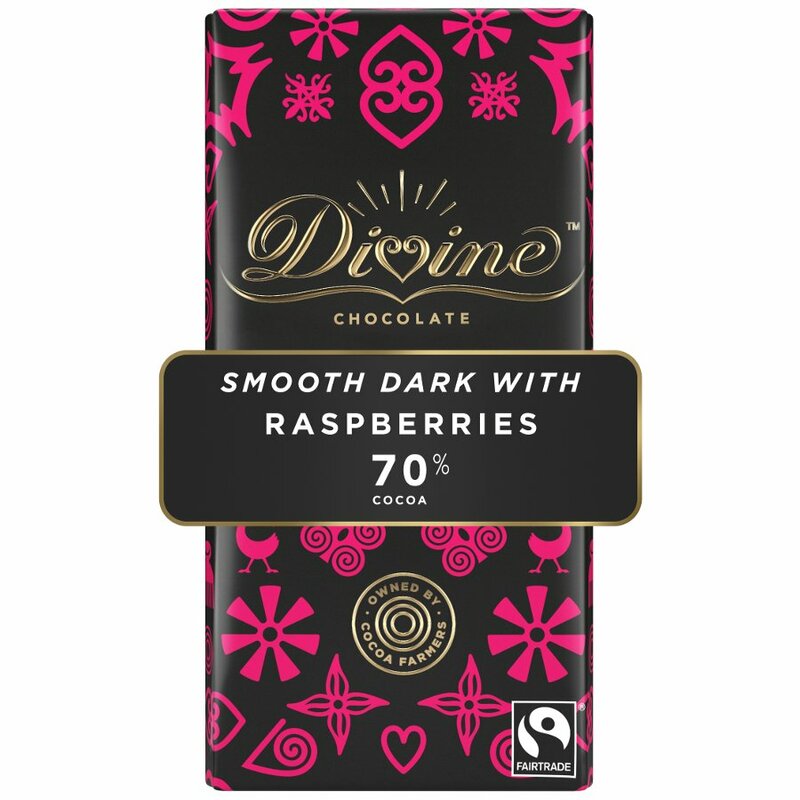 Fairtrade cocoa mass, Fairtrade sugar, Fairtrade cocoa butter, Freeze dried raspberry granules (3%), Emulsifier: sunflower lecithin, natural raspberry flavour, Fairtrade vanilla Free from artificial flavourings, colourings and preservatives. 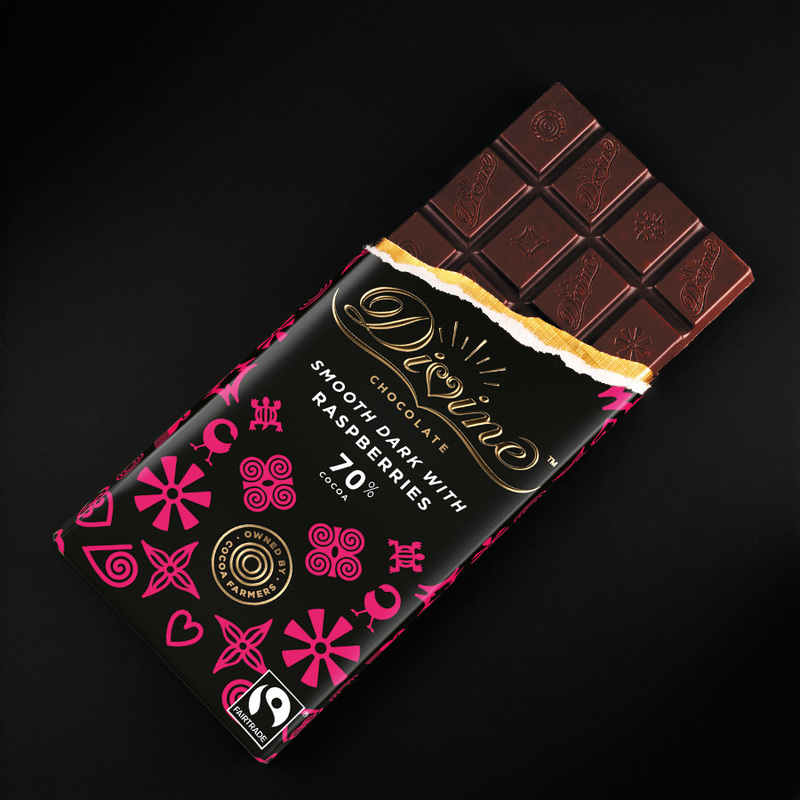 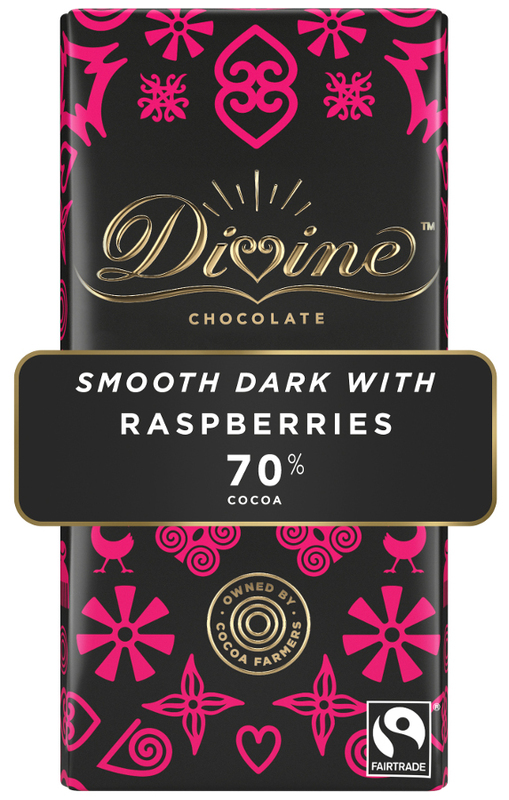 There are currently no questions to display about Divine 70% Dark Chocolate with Raspberries.